07.06.2013. Padre Martearena Stadium, Salta, Argentina. 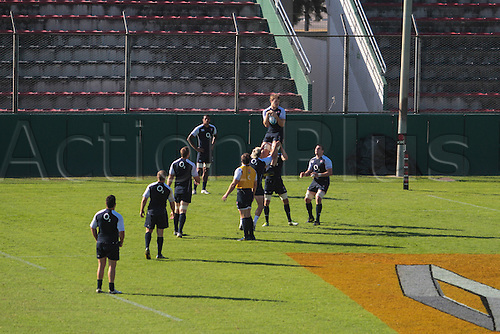 England line out practice at early morning training. Pre-game practise for the upcoming test Rugby Union game between Argentina and England on 8th June.